Park House prides itself in providing patrons with a relaxing and enjoyable stay. We like to think our guest house is amongst the best in the region, offering comfortable beds, clean and tidy rooms, excellent bedroom facilities and a hearty full English or continental breakfast. 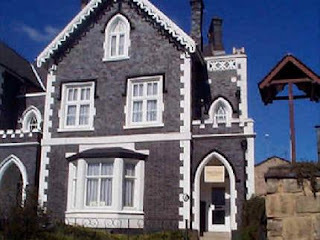 Park House Guest House is an attractive blue brick building about 5 to 10 minutes walk away from the centre of Warwick. In the early 19th century the local prison governor ordered blue bricks to build his residence in Warwick. With the "left over" bricks this terrace of blue brick buildings were built to house the officers and their families. They say breakfast is the most important meal of the day....and former London restaurateur, Ata Chalayan, helps make it the tastiest too. You can choose to have a full English breakfast or a refreshing continental breakfast. We can also provide a full vegetarian breakfast.